Rice provides more than 20 per cent of the calories consumed by the human race. Almost everyone will have eaten it within the last week. And hardly any of us give it a moment's thought. The oldest records of rice cultivation trace it to South India, where it has been grown for over 8000 years. Now we are offering visitors a unique day trip into not only this wonder crop's past, but to discover a possible sustainable, future. 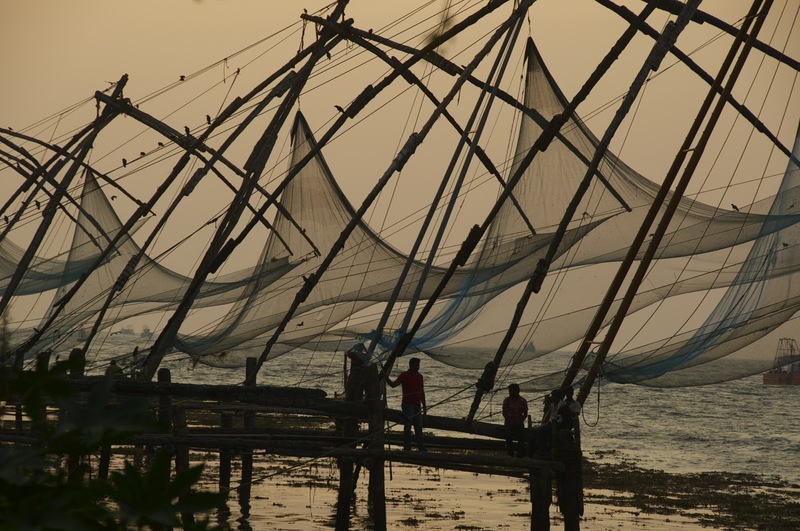 Our new Pokkali culinary heritage tour takes a few select guests into the patchwork of paddy fields that surround Fort Cochin – the most beautiful and popular city in Kerala. Here, farmers have been growing a unique variety of rice for as long as people remember. Pokkali rice is red, providing a vibrantly coloured ingredient to any meal. It is also always grown organically. But most significantly, it is the only variety in the world known to be capable of resisting salt water – which in this time of rising sea levels due to climate change, could just make it a lifesaver. And the farmers that grow it across just 3,000 hectres of Kerala paddies are protecting and cultivating the last known wild examples of it on earth. A true symbol of sustainability, the farming methods have also been developed into a perfect symbiotic relationship. From June to October each year, the farmers grow the rice in the low lying paddies. Once it is cultivated, the remains of the rice plant along with all the wastes from its cultivation, become used in prawn farming. Guests will visit the paddy fields, meet the farmers and learn the story of Pokkali from them over a traditional meal – after all where better place to eat rice and freshly harvested prawns. This is a unique window into the food heritage of Kerala, and offered by no other travel company. Properties like Malabar House, CGH Earth and Le Meridien has committed to purchase this rice for their restaurants, while TBY is also working in the local markets to create demand from public to consume this rice. A trip to visit the Pokkali Rice Farmers is just one of the many new day trips that the Blue Yonder is offering out of Cochin this year. You can be a river fisherman for the day and try your hand at a unique fishing practice called 'Peru Vala'. Lovers of Indian handicrafts can escape the tourist trail and visit (and buy from) the women who make the most beautiful saris in all Kerala on the handlooms of Chennamangalam. A visit to this beautiful village weaves together not just fabrics, but religions - for while there it is also possible to visit the places of worship of the four main religions of the world – a temple, a synagogue, a church and a mosque, all within one square kilometre of each other. And on the musical trail local master musicians showcase their skills on a range of the traditional instruments of Kerala, whilst narrating stories and folk tales of the area. 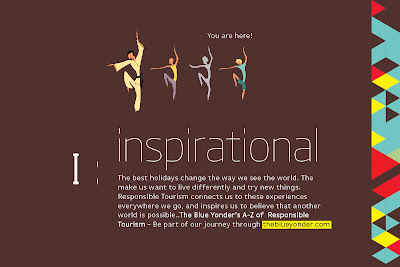 So popular has this tour become, that it has already won both the British High Commissions' Young Creative Entrepreneur Award and the Conde Nast Traveler's World Savers Awards. 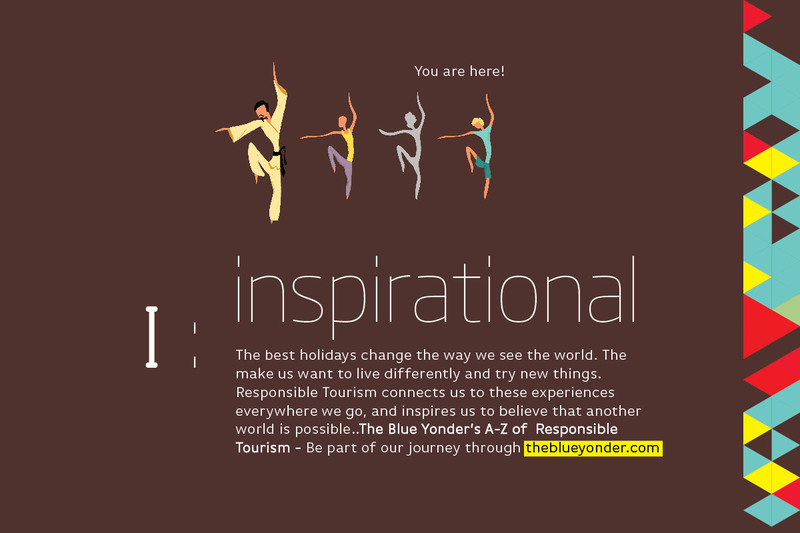 Ever since The Blue Yonder started in Kerala over 8 years ago, the company has won countless awards and acclaim for its unique 'off the beaten track' trips. Our distinctive tours offer travellers authentic experiences of hidden customs and rituals, while providing their hosts with a meaningful income that enables them to sustain these threatened traditions. We now offers such trips across all of India – from Rajasthan to Sikkim, as well as into Nepal, Bangladesh, Singapore, and recently to South Africa. The Blue Yonder can be found at stand 201 / Hall 4.1. Our colleagues will available for meetings throughout the course of ITB (06-10 March 2013).